The team at Lahore Karahi Chinese on the Highgate Road in Sparkbrook, Birmingham are offering a 25% off your total bill discount exclusively for Halal Food Review readers. The offer is valid Sunday through to Thursday each week until the 12th April 2012. The offer is only valid if you PRE BOOK YOUR TABLE via their website or by calling the restaurant directly. To book online visit http://www.lahorekarahiltd.com/lahore/index.html and use the live table reservation system or the contact us page. 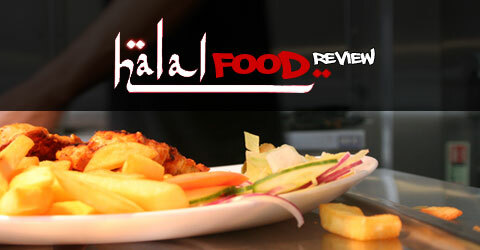 When completing your booking please quote Halal Food Review 25% Offer in the comments section. Bookings can also be made by calling 0121 773 7575. When booking by telephone please quote Halal Food Review 25% Offer. Once a booking has been made you will receive a confirmation message by text which needs to be shown when you arrive at the restaurant. Please remember the discount code is only available for pre booked tables and is not valid without prior booking. A week doesn’t seem to go by at the moment without a new restaurant opening up in Birmingham, since October last year we’ve seen a whole host of new restaurants opening offering everything from opulent Mughal cuisine to All you can eat buffets to new steakhouses. Recently we’ve seen a flurry of American style diners with the opening of Tinseltown, Rock 66 and Fargo’s Food Factory all in a matter of weeks. We’ve been waiting rather impatiently for Fargo and his team to lift the shutters on their food factory ever since we first got news that the old Punjab Paradise was closing down. As much as we love the Balti Triangle we’ve been crying out for some different types of restaurant to open in the city’s most famous food district. Fargo’s as you’ve probably guessed is located at the top end of Ladypool Road and joins Ulfat’s Grill, Adil’s, Lahore Buffet and the much loved Khan’s Fish Bar to create a varied dining offer that further extends the appeal of Ladypool Road as a dining destination of choice for so many halal foodies. Fargo’s has an interesting internal configuration, as you enter the restaurant you see the counter half way up the restaurant and then there is a further dining area stretching past the counter. We sat in the dining area directly opposite the counter which has traditional American style booths. It did take a bit of adjusting to get our bearings but once seated we instantly felt the warmth of the restaurant and its great to have access to heating on a cold February evening. There seems to be the odd remnant of the old Punjab Paradise with the decorated archways but everything else definitely has the Fargo’s factor. One of the things I do like is a restaurant that develops a unique and different style of branding and I have to say I do love the Fargo’s concept with the storyboard, the narrative and the cartoon characters. I was eating with the family and the kids simply adored some of the imagery on the walls and it makes for a really nice environment for young kids with plenty of space to run around in. The menu at Fargo’s is different and basically offers diners five food options each themed around one of the Fargo characters so you have a choice from a range of burgers, grilled options, stir fry, curry and pizza options. There is also a themed dessert menu and a kids selection. The menu is varied without being over powering, the choices are sensible and the only thing that I found missing was a good fish option in the grill section as I am definitely partial to a good piece of Salmon! Based on my Facebook research and talking to friends who had eaten at Fargo’s a day earlier I had no hesitation in ordering the Brick Burger which offers diners the option to simply double up on their burger choice and mix and match their combination. After my beefburger experience last week I decided to stick to what I love which was the lamb and chargrilled chicken which fused the Grizzler and the Colonel Burger options. Doubling up is a great option and really good value for money for an extra £1.50. The wife decided to try something different and opted for the Vegetable Chow Mein with the option of added chicken from the Stir Fry Menu. The Brick Burger hit the spot and the flavours of the Chargrilled Chicken and the Spicy Lamb patty really complimented each other and were perfectly finished off with the chilli relish. For £6.95 you can’t really go wrong for a premium burger of this quality and the standard was definitely on a par with what we’ve enjoyed at the Chicago Burger Company, I was tempted to go with the full loaded fries but stuck with the safe option of chunky chips! The stir fry was a generous portion with a great fusions of flavours. I did have my doubts about offering four very different options on a menu but its great to actually be able to go to one restaurant and order from different and distinct options. It gives you more reason to come back and try something different. From the dessert menu we opted for the Cookie and Cream Sundae and the Mango Milkshake. The Cookie and Cream sundae split opinion on the table, the kids and I enjoyed it whilst the wife was in two minds about it though she did have her heart set on the Chocolate Cake and Ice Cream only to be vetoed by me! The one thing I did agree with though was that more thought could have gone into the presentation. Desserts should be as pleasing on the eye as they are on the the tastebuds. It delivered on the latter but could do more on the former! The mango milkshake was the only real let down for me during the evening, I normally opt for a mango shake from any milkshake menu as quite often its the most difficult to get right in terms of that unique balance of flavour and the milkshake for me didn’t really capture that mango essence! Price wise Fargo’s is a hit for me, the portions are generous, the prices are competitive and there is a really good selection both in terms of food but also in terms of drinks. Service as I mentioned earlier was also a hit, staff were friendly and courteous, we were offered free water as a matter of routine and when it came to settling up at the end of the evening we were asked for feedback on the food and our experience which I really appreciated. We did talk about the mango milkshake and it was great to have the team ask why it didn’t work for me and what would make it better and that they would look to address it in the future. Its a small touch but an important one that separates good service from bad service reminding the customer that they are valued. So to summarise, Fargo’s is a great addition to the halal dining offer in Birmingham, the food was great, the prices are competitive and service was also spot on. They were also really receptive to my feedback on the milkshake. I’d definitely recommend Fargo’s to Halal Food Review readers and I have a feeling people will try it more than once and mix and match from the different options on the menu. It would be great to see Fargo’s open a bit earlier to offer a lunch option on Fridays and the weekend but maybe that is already in the pipeline, if not its worth thinking about.